A selection of rough diamonds from Peregrine’s Chidliak diamond project in Nunavut, northern Canada. Source: Peregrine Diamonds Ltd. Peregrine Diamonds Ltd. [PGD-TSX] said Thursday July 19 that it has agreed to be taken over by De Beers Canada Inc. in a $107 million all-cash plan of arrangement deal, worth 24 cents a share. Peregine’s key asset is the Chidliak Project, located in the Canadian Territory of Nunavut, 120 km northeast of Iqaluit. The project hosts 74 kimberlites, eight of which are believed to be potentially economic. Two of these kimberlites, the CH-6 and CH-7, form the foundation for phase one diamond development at Chidliak, as recently announced in a Preliminary Economic Assessment. Peregrine also controls the 8,494-hectare Lac de Gras Project in the Northwest Territories, located approximately 27 km from the Diavik Diamond Mine. News of the agreement sent Peregrine shares up 46.9% or $0.075 to 23.5 cents on volume of 5.85 million shares, making it the most actively traded stock on the TSX on Thursday. The transaction represents a 50% premium on Peregrine’s share price of 16 cents on July 18, 2018, and a premium of 44.5% to the volume weighted average price of the shares for the 20-trading days ended July 18, 2018, Peregrine said in a press release. Peregrine also said the deal is backed by the company’s two major shareholders – Eric Friedland and his brother Robert Friedland – who together control 42% of the company’s issued shares. The Friedland brothers have entered support agreements to vote their common shares in support of the arrangement. Peregrine said key benefits to shareholders include the fact that this is an all-cash offer that is not subject to a financing condition. The offer also secures immediate value appreciation, eliminating technical and financial risks and the burden of future dilution involved in advancing the Chidliak Project as a standalone publicly-traded company. “The Peregrine team has done outstanding work progressing the Chidliak Project, demonstrating its quality and high potential,” said De Beers Canada CEO Kim Truter. “With our extensive De Beers Group operating experience in similar Canadian arctic environments and employing innovative mining methods, we believe we are very well positioned to develop this resource further,” he said. 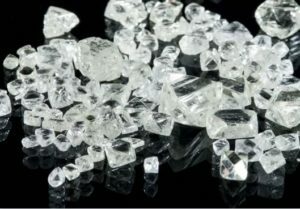 Under the terms of the agreement, if the arrangement is not completed as a result of a superior proposal, the company will be required to pay De Beers a termination fee equal to $5 million.